In the new publication Renée Radell: Web of Circumstance, Eleanor Heartney opens with this now-famous 1971 provocation by legendary art historian Linda Nochlin, “Why have there been no great women artists?” While acknowledging that women artists continue to face obstacles in an uneven playing field, in this book Heartney showcases a rare example of a woman artist, still painting in her ninth decade, who in the 1950s was setting the stage for transcending gender, time and circumstance. 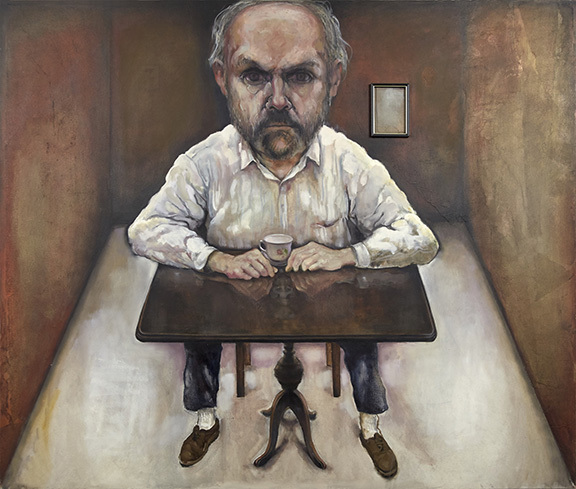 Drawing on recurring themes found in Radell’s work – life’s cycles, social hierarchies, political machinations, freedom and choice, community and isolation, hope and despair, religion and spirituality, conflict and regeneration, indifference and renewal – Heartney’s discussion reveals a web of creativity with a remarkable substance of expression. 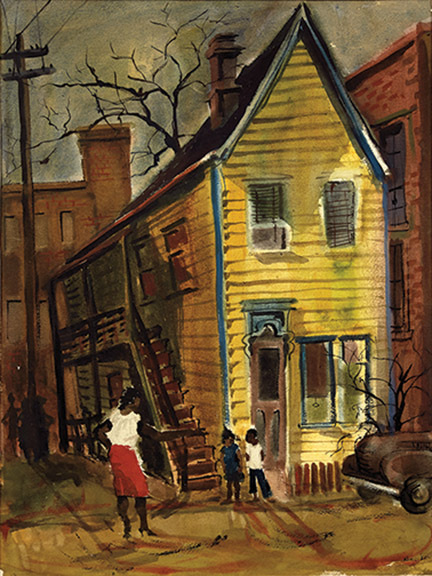 Renée Radell, Watson Street, 1957, watercolor on paper, 20 x 15 in. 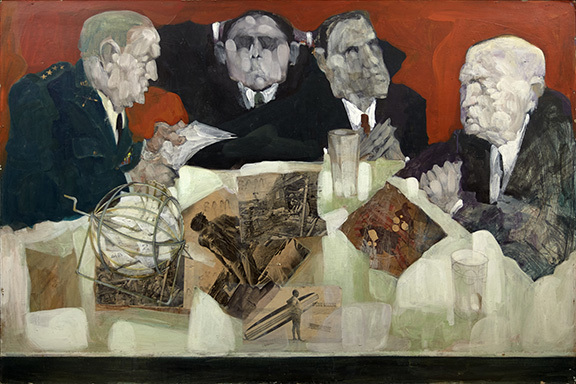 Renée Radell, Admonisher of Being, 1961, oil on canvas, 50 x 60 in. 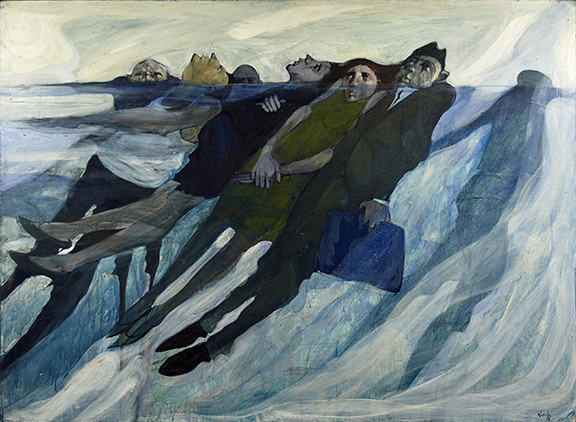 Renée Radell, The Tide, 1966, acrylic on Masonite, 44 x 60 in. Renée Radell, Commitment Committee, 1972, acrylic and paper on board 40 x 40 in. 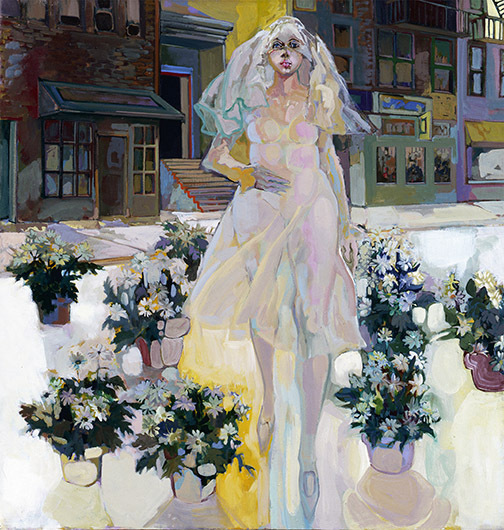 Renée Radell, Bleecker Street Bride, 1985, oil on canvas, 46 x 44 in. 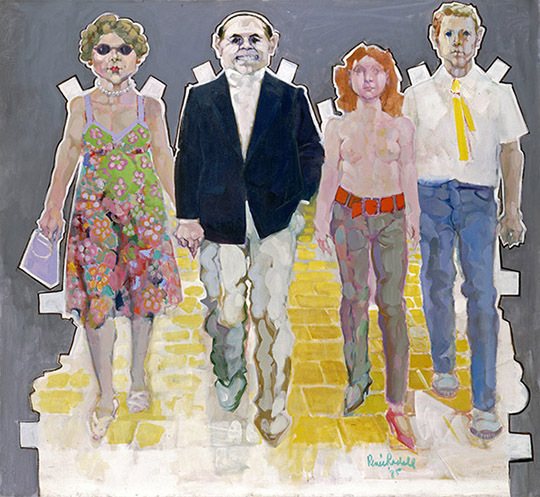 Renée Radell, Yellow Brick Road, 1985, oil on canvas, 66 x 72 in. 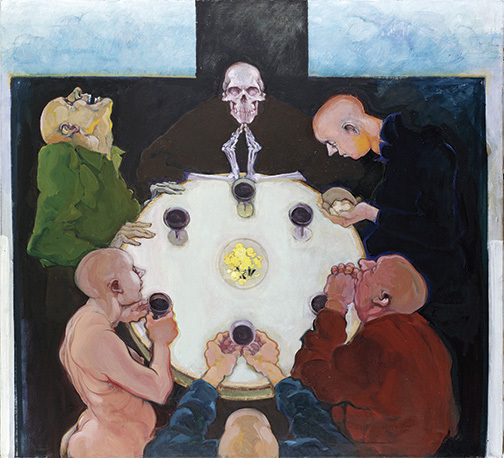 Renée Radell, The Covenant, 1989, oil and plastic on linen, 66 x 72 in. 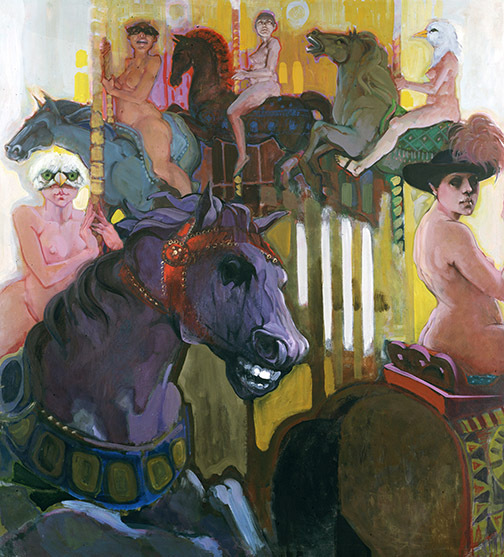 Renée Radell, Carousel, 1990, oil on canvas, 72 x 66 in. 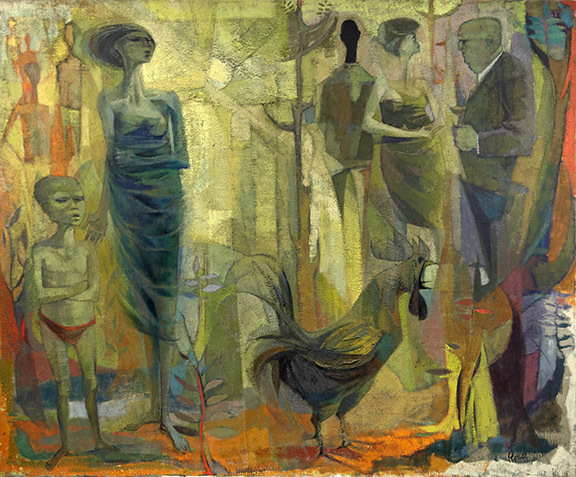 Renée Radell, The Visitor, 1994, oil and wood and paper on linen, 66 x 78 in. 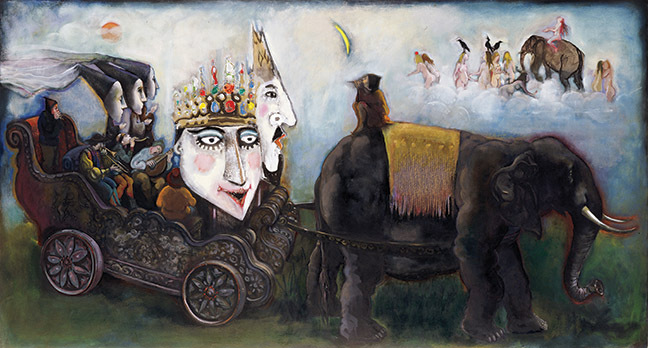 Renée Radell, Bruges Ensemble with Pool of Female Enticers, 1998, oil on canvas, 52 x 96 in. 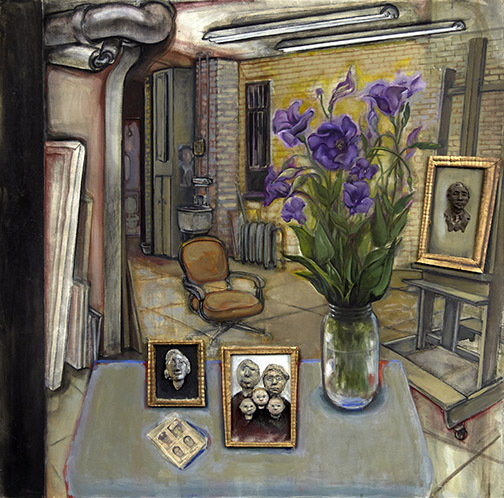 Renée Radell, Floral Tribute 9-11, 2003 oil, paper, corrugated board, terracotta on Masonite, 36 x 36 in.